Larry W. Myers is the President and Chief Executive Officer of First Savings Bank (the 'Bank') and First Savings Financial Group, Inc. Mr. Myers joined the Bank in 2005. 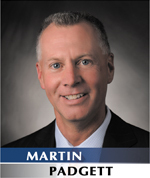 Previously, he served as Chief Operations Officer of the Bank. Prior to joining the Bank, he served as an Area President of National City Bank in southern Indiana. Mr. Myers has served as a Director of the Bank since 2005. John P. Lawson, Jr. is the Chief Operating Officer of First Savings Bank (the “Bank”) and First Savings Financial Group, Inc. Mr. Lawson joined the Bank in 1988. Previously, he served as Assistant Vice President, Vice President, Senior Vice President and Executive Vice President of the Bank. Mr. Lawson has served as a Director of the Bank since 2006. Anthony A. Schoen, CPA, has served as Chief Financial Officer of First Savings Financial Group, Inc. (the 'Company') and its wholly-owned subsidiary, First Savings Bank (the 'Bank') since January 2009. Previously Mr. Schoen served as the Bank’s Assistant Controller. Prior to his employment at the Bank, Mr. Schoen was a Manager with Monroe Shine & Co., Inc.
Scott P. Carr serves as the Chief Risk Officer for First Savings Bank. 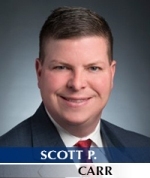 Scott has more than 18 years of financial services experience, including the past 11 years in the areas of risk management, regulatory compliance, Bank Secrecy Act, and information security. Jackie R. Journell, CPA, has served as Chief Accounting Officer of First Savings Financial Group, Inc. and First Savings Bank (the “Bank”) since February 2018. Previously, Mrs. Journell served as the Bank’s Controller since 2009. Prior to joining First Savings, Mrs. Journell served as the Chief Financial Officer of Community First Financial Group, Inc. and Community First Bank. Samuel E. Eckart is Executive Vice President of First Savings Financial Group, Inc. and Area President of First Savings Bank (the “Bank”). Before joining the Bank, Mr. Eckart served as President and Chief Executive Officer and a Director of Community First Bank. He has served as a Director of the Bank since 2009.